Çalışmada petrol tüketimi ile ekonomik büyüme arasındaki ilişki 1980 ile 2013 yıllarını kapsayacak şekilde 28 OECD ülke için analiz edilmiştir. Öncelikle ülkeler arasında yatay kesit bağımlılığı incelenmiştir. Elde edilen bulgularda yatay kesit bağımlılığı olmasından dolayı birim kök testi ve eşbütünleşme testlerinin ikinci nesil test olması gerekmektedir. Bu nedenle ikinci nesil birim kök testiyle (Pesaran CADF (2007)) eşbütünleşme testi (Westerlund Durbin-H (2008)) kullanılmıştır. Ortaya çıkan sonuçlarda petrol tüketimi ile ekonomik büyüme arasında eşbütünleşme ilişkisi bulunmuştur. Çalışmanın son aşamasında ise uzun dönem eşbütünleşme katsayılarının tahmini Common Correlated Effect (CCE) yardımıyla tahmin edilmiştir. Elde edilen sonuçlarda, esneklik katsayısı 0.279 olarak bulunmuştur, böylece petrol tüketimi ekonomik büyümeyi olumlu yönde etkilemektedir. In this study, the relationship between oil consumption and economic growth has been analyzed for 28 OECD countries which is covering the years 1980 to 2013. Firstly, cross section dependence among countries is examined. Due to the findings in the cross section dependency unit root test and cointegration test must be the second generation tests. For this reason, we used second generation unit root test (Pesaran CADF (2007)) and cointegration test (Westerlund Durbin-H (2008)). The result was found long run relationship between oil consumption and economic growth. At the end of the study, the long term cointegration coefficients were estimated with Common Correlated Effect (CCE). In the results obtained, the coefficient of elasticity is found to be 0.279, so that oil consumption affects economic growth positively. Alam, M. S. & Paramati, S. R. (2015). Do Oil Consumption and Economic Growth Intensify Environmental Degradation? Evidence from Developing Economies. Applied Economics, 47(48), 5186-5203. Al-mulali, U. (2011). Oil consumption, CO 2 Emission and Economic Growth in MENA Countries. Energy, 36(10), 6165-6171. Behmiri, N. B. ve Manso, J. R. P. (2012). Crude Oil Conservation Policy Hypothesis in OECD (Organisation for Economic Cooperation and Development) Countries: A Multivariate Panel Granger Causality Test. Energy, 43(1), 253-260. Behmiri, N. B. & Manso, J. R. P. (2013). How Crude Oil Consumption İmpacts on Economic Growth of Sub-Saharan Africa?. Energy, 54, 74-83. Bildirici, M. E. & Bakirtas, T. (2014). The Relationship Among Oil, Natural Gas and Coal Consumption and Economic Growth in BRICTS (Brazil, Russian, India, China, Turkey and South Africa) Countries. Energy, 65, 134-144. Bildirici, M. E. & Kayıkçı, F. (2013). Effects of Oil Production on Economic Growth in Eurasian Countries: Panel ARDL Approach. Energy, 49, 156-161. Breusch, T. S., & Pagan, A. R. (1980). The Lagrange multiplier test and its applications to model specification in econometrics. The Review of Economic Studies, 239-253. Chu, H. P. (2012). Oil Consumption and Output: What Causes What? Bootstrap Panel Causality for 49 Countries. Energy Policy, 51, 907-915. Chu, H. P. & Chang, T. (2012). Nuclear Energy Consumption, Oil Consumption and Economic Growth in G-6 Countries: Bootstrap Panel Causality Test. Energy Policy, 48, 762-769. Direkci, T. B., & Govdeli, T. (2015). The Relationship Between Electricity Consumption And Economic Growth In Oecd Countries: Panel Cointegration Analysis Under Cross-Sectional Dependence. 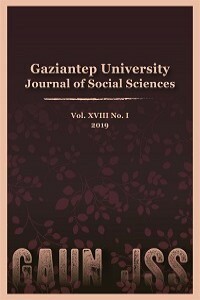 Medzinarodne vztahy (Journal of International Relations), 13(4), 382-398. Fanchi, J. R. & Fanchi, C. J. (2005). Energy in the 21st century. Hackensack, NJ: World scientific. Halkos, G. E. & Tzeremes, N. G. (2011). Oil Consumption and Economic Efficiency: A Comparative Analysis of Advanced, Developing and Emerging Economies. Ecological Economics, 70(7), 1354-1362. Herzer, D. (2014). Unions and income inequality: a heterogeneous panel cointegration and causality analysis (No. 146). Diskussionspapier, Helmut-Schmidt-Universität, Fächergruppe Volkswirtschaftslehre. Im, K. S.,Pesaran, M. H. & Shin, Y. (2003). Testing for Unitroots in Heterogeneous Panels. Journal of Econometrics, 115(1), 53-74. Kaya, M. ve Ercan, H. (2002). Türkiye'de ve Dünya'da bir LPG İncelemesi. Sakarya Üniversitesi Fen Bilimleri Enstitüsü Dergisi, 6(1), 101-105. Naser, H. (2015). Analysing the Long-Run Relationship among Oil Market, Nuclear Energy Consumption, and Economic Growth: An Evidence from Emerging Economies. Energy, 89, 421-434. Pesaran, M. H. (2007). A simple panel unitroot test in the presence of cross‐sectiondependence. Journal of AppliedEconometrics, 22(2), 265-312. Pesaran, M. H. & Yamagata, T. (2008). Testing slope homogeneity in large panels. Journal of Econometrics, 142(1),50-93. Pesaran, M. H., (2004). General Diagnostic Tests for Cross Section Dependence in Panels. Cambridge Working Papers in Economics no. 435. University of Cambridge. Pesaran, M. H., Ullah, A., & Yamagata, T. (2008). A bias‐adjusted LM test of error cross‐section independence. The Econometrics Journal, 11(1), 105-127. Secretariat, E. C. (2007). Putting a price on energy: International pricing mechanisms for oil and gas. Brussels: Energy Charter Secretariat. Swamy, P. A. (1970). Efficient inference in a random coefficient regression model. Econometrica: Journal of the Econometric Society, 311-323. Westerlund, J. (2008). Panel Cointegration Tests of the Fisher Effect. Journal of Applied Econometrics, 23(2),193-233.